Recent Doctor Who videogame adaptations have been pretty poor to say the least. The free adventure games weren’t bad, but were fairly insipid affairs. However this new game designed by Supermassive Games, developers of PlayStation Move title Start the Party – Save the World! and several of the LittleBigPlanet 2 level kits, is available on PSN for the princely sum of £12.99. So is this new game worth the entry fee, and more importantly is it finally a decent Doctor Who game that does both the character and long running sci-fi series justice? 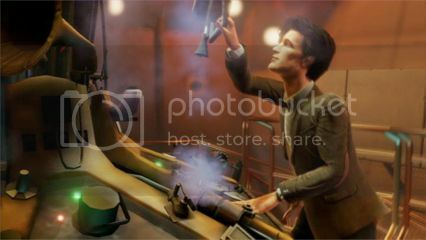 The thing with Doctor Who is that the titular character is a pacifist who steers clear of violence, so creating a game that appeals to the modern, shooter-centric gamer is a tough thing to do. The adventure game series got around this fact by using stealth as the main gameplay mechanic. This is once again prevalent in this new game, which is more akin to a 2D platformer, with puzzles breaking up the platforming antics. The Eternity Clock sees the Doctor team up with recent on/off companion River Song, and involves a plot that sees our duo traverse time and space in search of pieces of the aforementioned Eternity Clock, as a time storm engulfs the Earth. The Doctor’s in trouble once again! 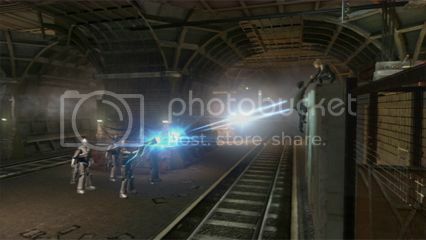 The game is set in London during three time periods; the sixteenth century, present-day, and a bleak future London, where the Daleks have taken over the Earth. The visuals are slightly cartoonish but are perfectly okay, and recreate the TV series fairly well – although the animation of the characters is slightly wooden. The Eternity Clock includes a broad selection of Doctor Who villains, with the Cybermen, Silurians, The Silence, and of course arch-enemies the Daleks all featuring. The main characters are voiced by both the current 11th Doctor, Matt Smith, and River Song herself, Alex Kingston. The script is well written, with some nice witty rapport between the two characters. Unfortunately the gameplay doesn’t live up to the writing, which is a pretty shallow platformer, where the Doctor gets to solve puzzles, and unlock doors with a simple Sonic Screwdriver minigame that involves matching up wavelengths. Initially this mechanic works well, but it quickly becomes very repetitive as it is used countless times throughout the 8-10 hour play time. The selection of puzzles that the Doctor has to solve are also overused, and in some levels you are forced to crack the same disc rotating or circuit re-routing puzzles five or more times in a row. The game tries to add some variety by swapping characters to River Song, who uses her hallucinogenic lipstick to bewitch enemies with a sneaky snog, and her Sonic Blaster to shoot anyone who stands in her way, perhaps to cater for gun-hungry gamers. 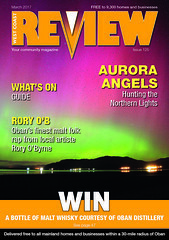 Some sections are infuriating, and should have been ‘deleted’! 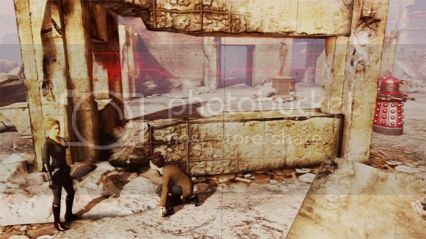 The game is also quite glitchy, with the Doctor sometimes trying to climb up a ladder sideways, and the A.I. of River Song leaves a lot to be desired. She regularly disappears as you traverse through the levels, which means you need to backtrack through the stage to see where she got stuck, and sometimes you even have to replay the whole level again if she doesn’t respond, which does test your patience. An early encounter with the Cybermen, where you need to wait ages while they slowly make their way up a set of stairs to get them to smash through a window that is blocking your way to a computer terminal, is particularly frustrating – because if you don’t hack the terminal quickly enough the Cybermen will take you down, forcing you to wait again while they lumber back up the stairs. Another level featuring the Dalek Emperor is also very unforgiving. The problem is the lock-on for River’s blaster, which is a hit or a miss, and if it doesn’t work then you will end up taking hits which take a huge chunk of your health. If this happens a couple of times you are in trouble, and if you die, you need to complete a large section of the level again, thanks to some poorly thought out checkpoints, which is infuriating; especially as you also have to complete the same selection of puzzles. The stealth sections involve ducking until the enemy moves away. To add replayability to the game, there are collectables to find, which are dotted throughout the levels. These consist of the pages of River’s spoiler-filled diary, which you can read through if you want some extra back story to the tale. You also get to hunt after the Doctor’s hat collection, because Fezes and Cowboy hats are cool! Although unfortunately you don’t get to wear any of the hats you collect. There is also a co-op mode which helps get round the game’s dodgy A.I. Here the Doctor and River perform different tasks in different time periods using a split screen, with for instance the Doctor leaving his Sonic Screwdriver for River to find in the future level. We did feel that the developers missed a trick here, as the tasks are all simple affairs, when they could have been a lot more creative with them, with the past being altered to make a significant difference to the future; a bit of timey-wimey tampering shall we say. 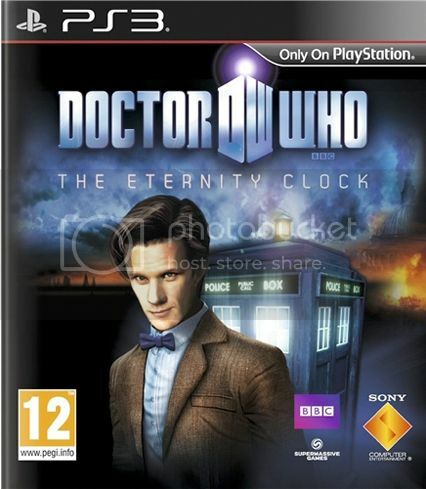 Doctor Who: The Eternity Clock is another missed opportunity to capitalise on the Doctor’s rich universe, and we can’t help but think that the series would lend itself better to a Telltale Games style of adventure, much like Sam and Max, rather than this simplistic platformer. With its frustrating gameplay and dodgy A.I. we can’t recommend The Eternity Clock unless you are an ardent fan of the series, but even then you may find it leaves a taste that resembles fish fingers and custard in your mouth! We can only hope that the developers rectify their mistakes in the sequel, and we finally get to play a Doctor Who game that the character and fans richly deserve. Vita? You gotta wonder how many of the BBC’s core audience have a Vita…….